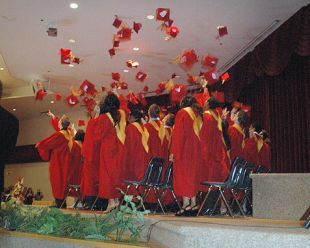 That was the message from Central Collegiate Institute (CCI) valedictorian Jacques Geyer during the Grade 12 graduation ceremony at Hillcrest Apostolic Church on Wednesday. He told classmates the individual has the power to make change and it’s up to every person to do just that. Geyer, who had the highest average at the mid school-year point to earn the valedictorian honour, said he and fellow grad students have made strong friendships and leave CCI with a variety of worthwhile experiences. Guest speaker Ron Graham, of Graham Construction, said his family has a long history with CCI.